If your an avid Dekker fan, and would like wallpaper and counters for your blog, go HERE. 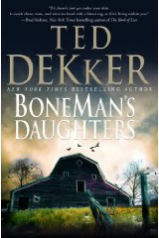 I really enjoy Dekker's books so I'd love to win this one. Thanks for the great giveaway!